No Contest As Durban Wins Bid To Host the 2022 Commonwealth Games. Are you Ready to Inspire? It’s Official!!! Durban was be announced as the host of the 2022 Commonwealth Games in Auckland this morning. It means South Africa will make history as the first African city to ever host the event. Canadian city and previous hosts Edmonton withdrew from the 2022 race last February, citing oil price-related financial concerns, leaving the South African port as the only bidders. South Africa have hosted the rugby, cricket and soccer World Cups before and hosting the Commonwealth Games is the next step in hosting great sporting events. Durban, South Africa’s third largest city was the only candidate in the vote for 2022 hosting rights. The Commonwealth Games Federation (CGF), which is currently holding its general assembly in Auckland, has recommended officials in the 71-nation back Durban’s bid. “It is the turn of South Africa to hold this great event,” South African Olympic chief Gideon Sam told AFP ahead of the vote. The four-yearly, multi-sport event was first staged in 1930, when it was known as the British Empire Games. Britain has hosted six Commonwealth Games, Australia and Canada four apiece, New Zealand three, and Jamaica, Malaysia and India one each. Africa has always missed out but sports officials have been buoyed by South Africa’s successful hosting of the world’s three biggest single-sport events, the football, cricket and rugby union World Cups. The South African government said last week that the Durban Games would use infrastructure from the 2010 football World Cup, including the 85,000-seat Moses Mabhida Stadium, to keep costs down. “(It) will position South Africa as a sport tourism destination and also provide opportunities for Team South Africa,” it said in a statement. “Hosting will also make use of the infrastructure legacy of the 2010 FIFA World Cup. “The 2022 Commonwealth Games is expected to deliver up to 20 billion rand ($1.5 billion) in output to the economy, translating into an additional 11 billion rand GDP growth,” it added. The Durban Games are set to open on July 18, 2022, marking the birthday of South African icon Nelson Mandela, who died in 2013 aged 95. Ahead of the vote, delegates at the Auckland meeting approved an ambitious blueprint to revive the Commonwealth Games, which critics in recent years have accused of slipping into irrelevancy. The plan involves increasing the number of compulsory sports from 10 to 16 by 2022 and setting a maximum quota of 4,500 athletes. 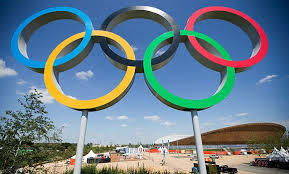 The idea is to give greater stability to the Games programme to attract more host city bids and sponsorship. The Moses Mabhida Stadium – the stadium that played host to Soccer World Cup Games in Durban – will host the games. For those worried about expenses, it won’t be too heavy on the taxpayer’s pocket as only the athletes’ village, shooting range and athletics track needs to be built. Durban is Ready To Inspire! !